Felix Auto and Tire provides trustworthy transmission repair in Oshkosh, WI. If your transmission has been slipping, come see us for diagnostics and a variety of transmission repair services. Sometimes all you need is a transmission flush. This service requires us to change out the old transmission fluid with new. We have a machine that can flush out the old fluid from the pan, then we add the new fluid to it. Many times a transmission flush is all it takes to get a vehicle running smoothly again. If you are still noticing that your car shifts roughly between gears or that there is a delayed engagement once you put the car into a certain gear, a full transmission service would be our next step. We go a step further by removing the transmission oil pan and cleaning out the debris before replacing it and installing a new transmission filter. We will also replace the gasket on the pan, just to be sure we’ve gotten rid of any debris that could be causing a problem. In the event that these services don’t fix the problem, we’ll recommend a transmission rebuild, which includes disassembling the entire system to locate the exact problem, repairing it, and then cleaning and reassembling the transmission. An automatic transmission can be rebuilt in as little as one day, but we like to take our time to ensure that everything is done right. On average, you can expect that a transmission rebuild will take a few days, especially if you have a late model, front wheel drive vehicle. Transmission repair and rebuilds aren’t cheap. At Felix Auto and Tire, we do everything we can to keep your costs for extensive services like these as low as we can. We can offer new or used parts to do your repairs and replacements, depending on your budget and your personal preferences. We’ll let you know up front if your transmission rebuild will be a typical one or if we will have to replace any of the ‘hard parts,’ the parts that are not supposed to wear out or break and are, therefore, not usually included in the price of a standard transmission rebuild. 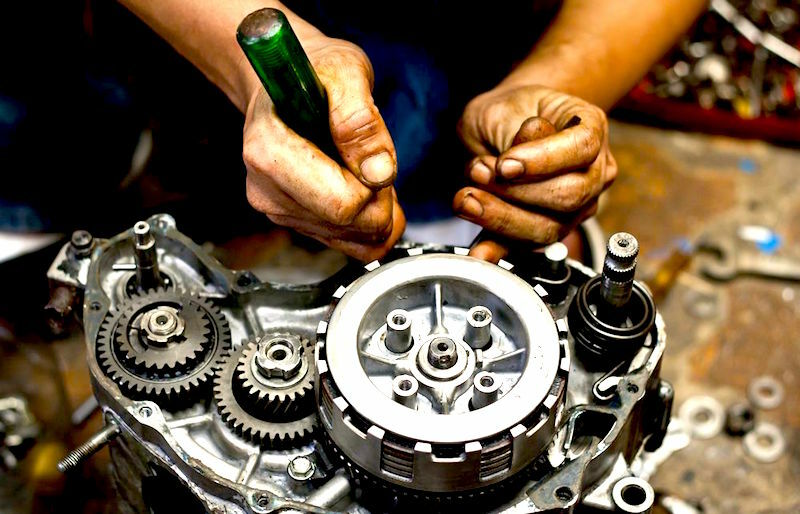 At Felix Auto and Tire, you can rest assured you’ll get the best transmission repair services possible!